National Coffee Day is Sept. 29! Celebrate the drink that we all love to consume in something a little different… coffee cocktails! These caffeine-filled hot coffee cocktails are the perfect sinful treats for your weekend brunch. National Coffee Day or not, we know you love coffee. And we do too. It's in our coffee mugs morning, afternoon and sometimes at night. So what can make your favorite cup of joe even better? Mixing it with spirits to create these hot coffee cocktails, of course! Go ahead, brew that large pot of coffee. While the coffee maker is doing its duty, whip up a batch of homemade whipped cream to use for topping the coffee cocktails. For some added fun in your drinks, top the whipped cream with chocolate powder, chocolate covered espresso beans or roasted coffee beans. 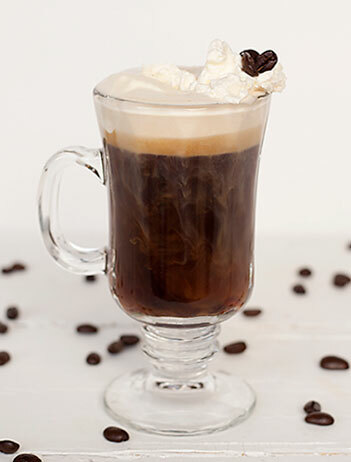 Add dark rum and Tia Maria to an Irish coffee mug. 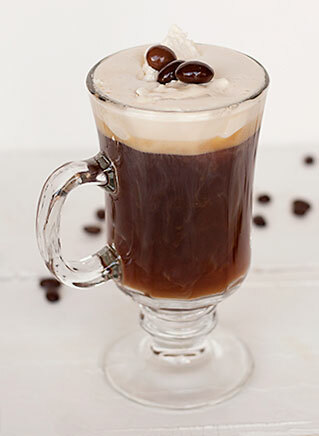 Add brandy, Kahlúa and dark crème de cacao to an Irish coffee mug. Fill glass with hot coffee. 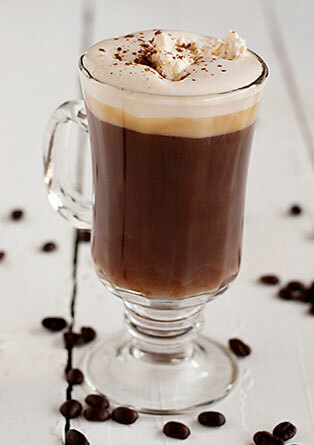 Add Cognac and Grand Marnier to an Irish coffee mug. Cheers! We have lots of cocktail recipes!